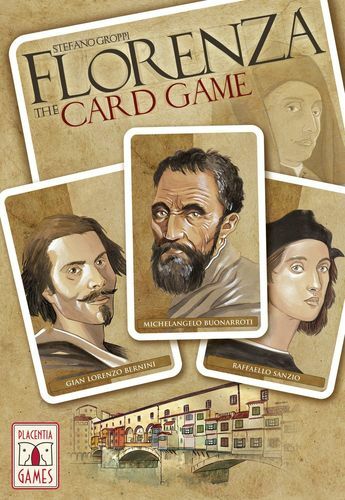 Florenza: The Card Game, a game in which players are the heads of the most important families of Florence during the Renaissance. Players try to hire the best artists to embellish the monuments of the city, but they can also build workshops and houses or join guilds to strengthen their power and have more resources and money to manage. 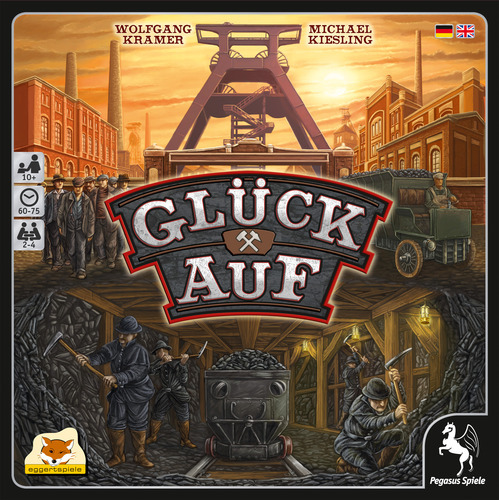 Coal Baron – or Glück Auf in German, after a greeting German miners use when wishing one another luck – has players sending meeple miners underground to dig tunnels and acquire coal, which comes in four levels of quality and which is used to fulfill contracts.The game lasts three rounds, and in each round players take turns placing their workers on action spaces; you can go on a space occupied by another player, but you need to place additional workers in order to do so. Each player has an individual elevator shaft, and he’ll need to use workers to extract coal and bring it to the surface, while also competing for contracts and scrounging for cash in order to do everything else that needs to be done! 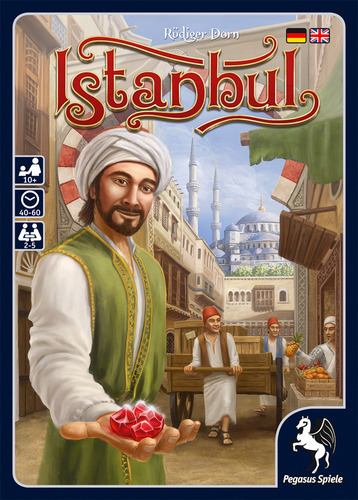 In Istanbul, you lead a group of one merchant and four assistants through 16 locations in the bazaar. At each such location, you can carry out a specific action. The challenge, though, is that to take an action, you must move your merchant and an assistant there, then leave the assistant behind (to handle all the details while you focus on larger matters). If you want to use that assistant again later, your merchant must return to that location to pick him up. Thus, you must plan ahead carefully to avoid being left with no assistants and thus unable to do anything…In more detail, on a turn you move your merchant and his retinue of assistants one or two steps through the bazaar, either leave an assistant at that location or collect an assistant left earlier, then perform the action. If you meet other merchants or certain individuals at the location, you might be able to take a small extra action. 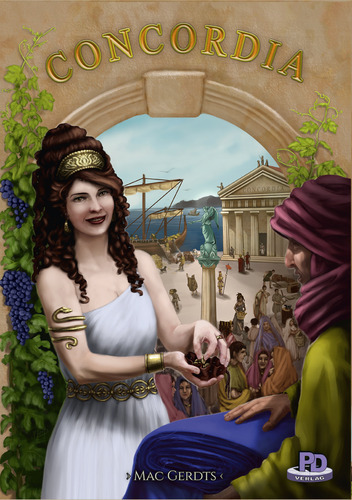 Concordia is a peaceful strategy game of economic development in Roman times for 2-5 players aged 13 and up. 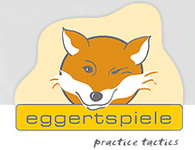 Instead of looking to the luck of dice or cards, players must rely on their strategic abilities. Be sure to watch your rivals to determine which goals they are pursuing and where you can outpace them! In the game, colonists are sent out from Rome to settle down in cities which produce bricks, food, tools, wine, and cloth. Each player starts with an identical set of playing cards and acquires more cards during the game. These cards serve two purposes:They allow a player to choose actions during the game. They are worth victory points (VPs) at the end of the game.Concordia is a strategy game which requires advance planning and consideration of your opponent’s moves. Every game is different, not only because of the sequence of new cards on sale but also due to the modular layout of cities. (One side of the game board shows the entire Roman Empire with 30 cities for 3-5 players, while the other shows Roman Italy with 25 cities for 2-4 players.) When all cards have been sold, the game ends. 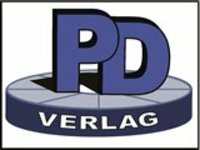 The player with the most VPs from the gods (Jupiter, Saturnus, Mercurius, Minerva, Vulcanus, etc.) wins the game.